Time for a not-for-a-challenge, Pinterest-inspired, just 'cause I felt like it card. I cut 1/4 inch wide strips, which should have fit equally across my 4 inch grey panel, but I ended up trimming about 1/16 inch off the two ends somehow. I love the fun bouncy feel of the brightly coloured strips against the grey. I think this will be perfect for my friend's 13 year old niece! This is so fun! Sure to be a hit with your niece. 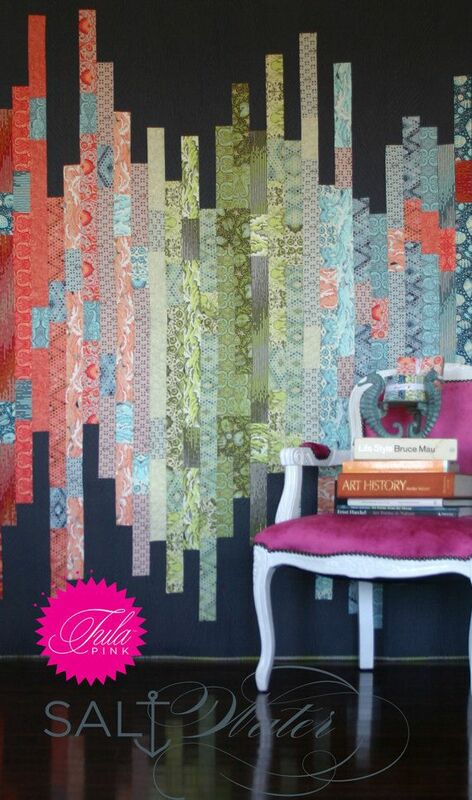 Love this...the stripes of paper are awesome. 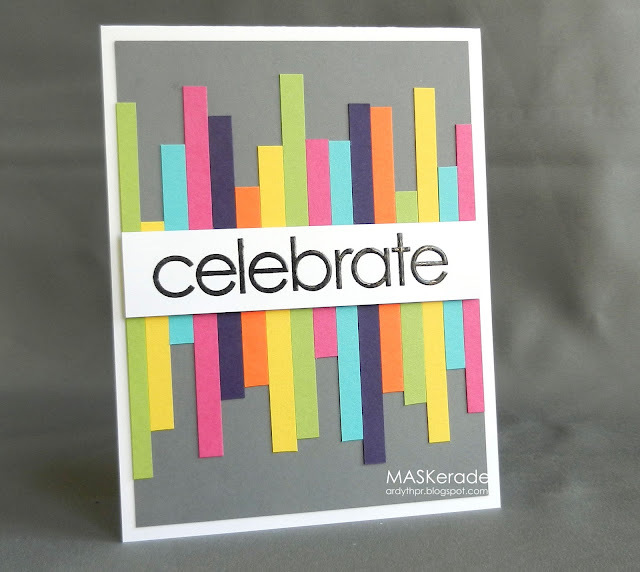 Very nice card - I love the uneven strips with the big sentiment across the center. I'm headed to my scrap bin to see what papers I have to CASE your card. It's so cheery and well put together. Now that I looked at the inspiration picture closer, I see that I made a quilt for my daughter with this same design, different colors. Why didn't I think it would be adaptable to a card? Such a fun and happy card. Brilliant idea. So very cool, Ardyth! Love those colors against the gray background. I'm so glad you got to make a card just for fun! You are one busy lady! This is a wonderful way to use snippets! Isn't it relaxing to make a card 'just because'? No rules can be so much fun! .... and this is why I follow you on Pinterest, love to see how your pins turn into cards :0) This is so colourful and modern, just right for a youngster !! Wait, I just saw two rectangular cards in a row. Whose blog am I on?! This was the other card that really jumped out at me from your gallery. Graphic goodness personified! !